Plexipoint 8-piece Drill Bit Kit. 9/16" through 1" drill bits in increments of 1/16"ths in a steel case. Drill bits also sold individually, below. 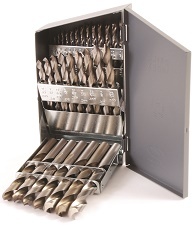 Plexipoint 29-Piece Drill Bit Kit. 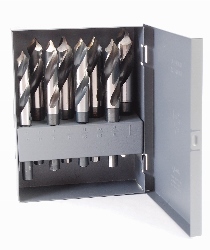 1/16" through 1/2" drill bits in increments of 1/64ths, in steel case. Drill bits also sold individually, below.